Tim Stockman doesn't come from a run-of-the-mill corporate background. Before founding the award-winning video production company Blue Dog Video, he spent the better part of a decade working as a broadcast news reporter, covering crime, the military and breaking news. Following that, Stockman transitioned into public relations. But his interest always remained in storytelling. Stockman's interest in helping people showcase their own narratives is what inspired him to start Blue Dog Video with a former journalism colleague during one fateful white water rafting trip. Now, he uses his newsroom roots to help brands portray their message through various marketing videos. "I use what I learned working in the news every day," Stockman says. "I can take complex things and break them down into 'everyday speak.' It's what I did multiple times a day." And now, Stockman is spilling his vast video marketing insights. He sat down with DesignRush to share how clients can best collaborate with video production agencies, the optimal video length for top engagement, how to determine the best video to meet your brand's needs and more. DesignRush: There are so many types of video marketing content, such as demos, brand videos, how-to videos, tutorials, behind the scenes, social media content, and more. In your experience, which type of video is best for companies that want to get their brand message out? Tim Stockman: It depends on the company and it depends on the message. 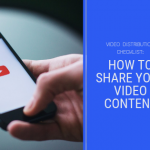 There are a lot of factors that determine which video will work for you, and it has a lot to do with targeted marketing and the message you want to get out there. For example, demonstrations work for products, but not necessarily for services. Bios are extremely effective for big companies that want to add a personal touch. Testimonials from real clients speak loudly to consumers. When they’re looking at a website, they see someone who looks like them, talks like them, might be neighbor, maybe they even know them. They can recognize that this is not a paid spokesperson, this is an everyday person telling me honestly how they feel. For that reason, testimonials speak very loudly. We’ve transferred that philosophy into TV commercials. The more we do testimonials, the more people want them. But overall, it really depends on what you want to accomplish and who you are speaking to. We integrate ourselves into that decision-making process so we can help them make that determination. Sometimes it ends up different from what companies originally envisioned. Ultimately, we want to make sure clients get the product they need AND the product they want. Then, we make sure that it fits into their budget. We don’t want to blow up their marketing budget, because that makes them look bad and it makes the video production company look bad. We find the perfect project within their budget. It’s all about quality per minute. DR: What is the optimal length of different types of videos and platforms and why? TS: It really depends on the audience makeup and video placement. Certain people and platforms have different attention spans. Social media video length should be short because there’s so much happening. A company profile on a website can be a bit longer because a consumer has sought out your site and their attention span might be a bit longer. I think website company profiles can be up to two minutes, bios and handshake video testimonials should be around a minute. A technical setting is a little freer, and you can potentially spend additional time on concepts. We worked on a series of informational videos for a neurosurgery clinic in Jacksonville and the audience were very select. Nearly everyone was watching this video to educate themselves about a specific procedure they were about to have. Those videos were 20-30 minutes because they had a dedicated and captive audience. Overall keep your videos impactful but get people in and out before they lose interest. Short and sweet is best. DR: Many business experts may feel uncomfortable on-camera. What advice do you have for them to feel at ease within the video so their expertise shines? TS: We, as an agency, have a responsibility to help our clients feel comfortable on camera. The bright lights, cameras, crew, etc. can be intimidating. Creating a comfortable atmosphere and rapport with the client is vitally important. My advice to business professional or person on camera is to have a few talking points ready to help you get your message across. Think about how you want to present them before cameras are rolling. You should practice, of course, but don’t rehearse too much. Don’t memorize a script, because it will look like you did. Just be familiar with the subject matter and the important points you want to get out there. It is our responsibility to get the right soundbites so we can assemble the story. In a corporate video, you just need to relax and be comfortable with yourself. Remember, we have all the tape in the world. You can stop and start over, get up and take a walk, you don’t have to get it right the first time. Your first take isn’t your last take, so go ahead and stop and start over. We want someone who looks relaxed, is speaking in their own voice in a non-scripted way, and who is natural and organic. DR: How do you approach achieving a business goal through video, in terms of determining the objective and the type of video that will reach it? TS: Before we roll cameras, the most important part is preproduction. Now, that doesn’t just mean storyboards and building graphics. It means a thoughtful conversation with the client about what exactly they want to accomplish. Who do you want to receive this message and what do you want their message to be? We work closely with our clients, including large companies with robust marketing teams and small companies working with the owner. But we approach each with the same objective – what do you want, how to say it, and who will receive it? By the time we shoot the video, we should have a rock-solid concept of where we want it to go and how it will look. By the time I’m shooting, I’m editing the video in my head because I know what we want it to look like. All in all, the concept should be finalized by shoot day. Editing is just putting the pieces together, creatively. The interaction between client and production company is key. A good production company feels as much ownership over the final product as the client. When you work as a team, the product will reflect it. DR: What tips do you have for communicating complex information in a short video successfully? TS: Making people feel comfortable translates directly into this question. Break down what you want to say into 3-4 key concepts before you shoot. Create a bullet point list of the top things you want to cover. Collaborating during preproduction gives the production company an idea of what they want to get out of an interview. It lays it all out clearly. Taking the time before the cameras roll to pull out key concepts is very, very important because it allows you to focus your interview. Another tip, especially for technical videos, is to write down what you want to say, read it to someone, not in the field and see if they understand it. If they look confused, you might need to break it down further. We know how to break down vernacular so people can understand it, so to a degree, that falls on the production company to identify what people will and won’t understand. An agency should feel comfortable enough with clients to collaborate. DR: What questions should clients ask when searching for the best video production agency for their brand? TS: First, look at a portfolio to make sure that the company has the ability and experience in your particular field. Many video production companies get laser-focused on what they’re doing, but their signature subject or style might have nothing to do with your brand and objectives. 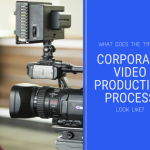 For example, a production company that has nothing but surfing videos on their website may not be the right fit to shoot bios for your law firm. Having a sit down with the creative team – whether or not you have concept finalized – is also important to get a feel for them. Can they make you feel comfortable on camera? Your conversation could be telling. What experience do you have with companies like ours? What similar projects have you completed? Additional fees for more editing passes? Budgeting is also extremely important. The baseline cost of production services varies wildly from company to company. Production companies with large in-house staff and facilities have a lot of overhead to cover, so they will most likely have to charge more. Smaller companies, like mine, have very low overhead and can deliver the same quality for a much-reduced price, since we have a smaller nut to cover. You want to find an agency that will be respectful of your budget. DR: What can clients do to facilitate a strong collaboration with a video production company throughout a project? TS: Communication between the two companies is very important. There’s an element of trust involved. ​Production companies can really feel that trust with repeat clients who understand that you comprehend their mission. This gives the production company more creative space. At the beginning of a partnership, you need to work hard to build trust between the agency and the client. Clients need to be open and honest, say what they want to accomplish, when it needs to be done, and give the production company as much information as possible from the get-go. This helps the agency craft a project before you roll tape. By giving all info upfront, that also allows the video production company to be creative and kick ideas back to the client that maybe they haven’t thought of. It’s important to be involved with a project as it’s being created. Get involved in script writing, physically be there on the day of the shoot, point out anything that maybe was missed during the editing process, and keep a critical eye. Say what you mean and don’t sugar coat it. We’re here for the client. We want your feedback and revisions, so don’t feel bad about sending a 20 item list of revisions for a 2-minute video. It’s your product! Tell us how you want us to make changes and we will do it. We want you to be happy with the product and keep hiring us. Plus, it makes it easy for us to know what you like and don’t like. DR: How long does the average video marketing campaign take from beginning to end and how far out from the ideal release date should brands beginning approaching video production companies? TS: A great rule of thumb is the more time you have to plan preproduction, the better. It’s hard for me to really say how long each project takes. Some videos can be turned around in a week or so, while others are complex and take months to get out the door. Start searching for a production company when you have a concept to ensure it’s done when you need it. Throughout the entire process, be rational about your time allotment. 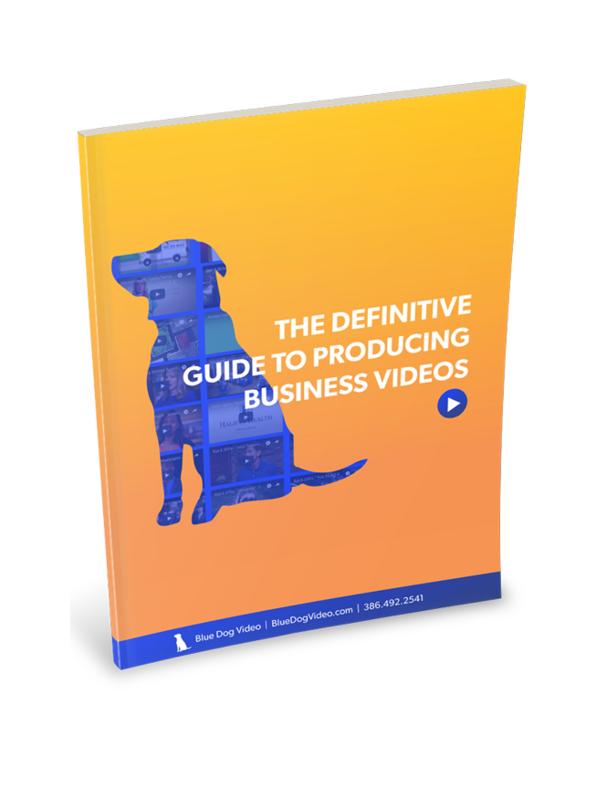 Everyone gets excited about videos and want to see them immediately, but you don’t want to rush the production company. You could then lose a lot of details and risk compromising the overarching quality. You want time for editing, revisions, and so on. For example, a two-minute company profile with a strong concept should take about one day to shoot. A sample timeline should have a few weeks for pre-production/meetings/creative development, one day to shoot, and two to three weeks of editing, including all of your revisions. It also depends on a production company’s workload and the client’s response to drafts and questions. If a company edits quickly and takes you a week to respond, it will obviously take longer for the final video. Try to stay responsive to move the process along more quickly but remember that good video takes time. Being patient with the process is important. If your video is taking extra time to turnaround, remind yourself that they are using this time to make your video better than you thought it was going to be. If you’re involved and in the loop, you’ll likely be happy with the final product. DR: What are some of your favorite video projects your company has worked on and why? TS: Every project – I love what I do, I love my company, and I love working with clients. This is the best-case scenario for my life – my job. It is something that I enjoy. That said, we have worked on some pretty cool projects. We filmed the demolition of a hospital that was imploded a few years ago. We’ve been in operating rooms, planes, trauma helicopters… lots of fun stuff. However, my favorite projects are interviews and testimonials. I think that’s the old news reporter in me. I love working with real people. You can always learn something interesting about someone. And testimonials have real people telling their stories. I love hearing their take on life and their experiences. That’s what I like to do – meet people and hear them talk in their own words. Then, to have someone appreciate your little piece of art following that is very compelling to me. TS: Video is a very powerful tool, and companies big and small CAN afford video production. There is a myth that it’s very expensive, but it’s not true. If other sites and companies like yours have videos you admire, flat-out ask production companies how much a video like that would cost. Many companies can work with clients to fit a project within their budget. They will work with you and can swap in a different crew, equipment, etc. Just know that you can afford video production. If you want to add this powerful tool, it doesn’t cost anything to call a production agency and learn if video is right for you. Once you call one company and realize the value you get for the price, you’ll be happy you did, as long as you pick the right partner.